It's that time of year again! The Holidays are just around the corner and it's time to get orders placed for custom art. Order any size Gallery Wrapped Canvas or Gallery Float Mount by December 5th for delivery by Christmas and save 20% on all custom art ordered between now and December 24th at midnight. Use Coupon Code "holiday12" at checkout. If you're overseas and would like art shipped to you, not a problem. I use DHL Worldwide Express service for international shipments and have sent art all around the globe. 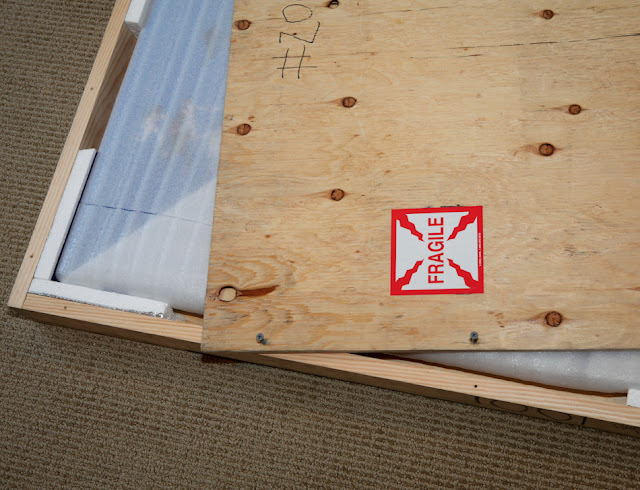 Your art will be crated up, professionally packed and guaranteed to arrive in ready to hang, perfect condition. For domestic shipments I use FedEx Ground service. INTERNATIONAL ORDERS: Please contact me via my contact page for shipping quote and timing. Also, don't forget to take a look at my In Stock Art Page for Gallery Floats, Canvas & Framed Art that is In Stock and can ship right away. It's already discounted 10% - 20%. Now you can take an additional 10% off at checkout with code: "instock2012". Order by December 18th for delivery by Christmas.